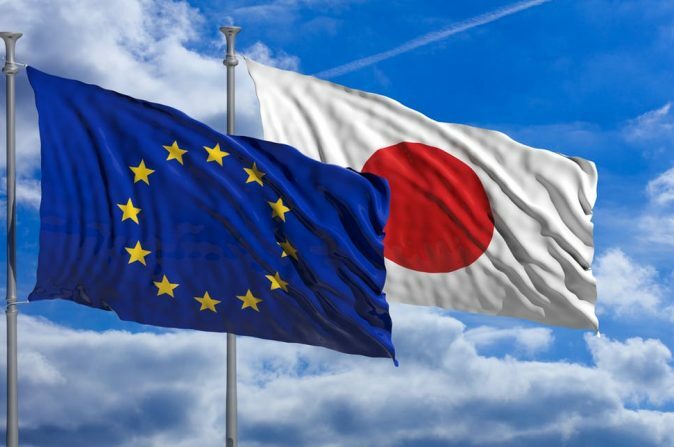 The Economic Partnership Agreement (EPA) between the EU and Japan enters into force on 1 February 2019. Businesses and consumers across Europe and in Japan can now take advantage of the largest open trade zone in the world, covering one quarter of the world’s economy and slashing tariffs on trade flows worth more than $200 billion. The economic agreement is the largest bilateral trade deal ever made by the EU in terms of market size and will be the largest zone of free trade created in history. Together, the EU and Japan’s economies account for about a third of global GDP. The new trade agreement should therefore serve to bolster the global economy. The agreement drastically reduces tariffs between the EU and Japan, paving the way for simpler, faster and larger trade volume. The EU-Japan economic agreement will ultimately remove 97 per cent of the tariffs that Japan applies to European goods and 99 per cent of those applied by the EU. It is estimated that EU companies will save €1 billion a year in duties which they currently pay when exporting to Japan. Both sides will lift major import duties, including a 10% tariff on Japanese automobiles and a 30% tariff on European cheeses. The agreement will open up the Japanese market of 127 million consumers to key EU agricultural products and increase EU export opportunities in many other sectors such as financial services. As Japan will scrap duties on agricultural products, the Europeans stand to gain most from exports of consumer products, such as cheese, pork, and wines. Japan’s main interest in a trade deal with Europe was to increase its auto industry exports and remove the tariff on Japanese cars for the next eight years. In addition to the Economic Partnership Agreement, the Strategic Partnership Agreement between EU and Japan will also enter into force on the same day. The strategic partnership commits to security cooperation on issues like nuclear proliferation, regional security, international terrorism and organised crime, cyber-security, and energy and climate security.